It’s just like its name, mudah. simple and convenient. – You don’t even need to sign up to sell or purhase item. The best part is, you can post your advertisement there for free. – You can also buy and sell in the region of your choice. eg. selangor ONLY. Higher chance for the availability for C.O.D., so that you will have no worries that your item purchased will lost during delivery. Ha! – Most of the sellers provide info that enables you to contact him/her directly instead of sending PM in the website. Other than that, variety of items is now selling at mudah.my. They are selling all sorts of interesting items that keep me browsing through it for a day. 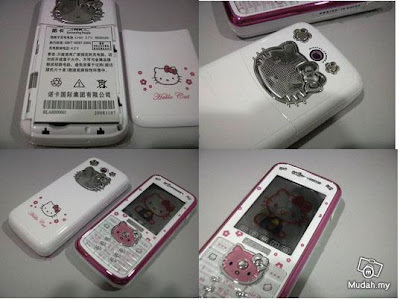 & I spotted this extremely cute phone. Besides sell buy business, many useful advertisements are shown too. I randomly type “Kampar Utar” in the search box and thought that it will show no result. But well, it turns showing two ads that are unexpectedly useful. 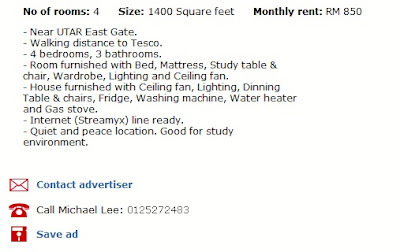 See right, I know I had mentioned that I found a house to be rent at Kampar some time ago. But we didn’t rent it in the end, because the owner of the house simply raises the rental fees and we realize it’s quite a distance between the house and Utar. So yea. Thought of spending another 2 days to find a new house there, but now things are much easier. At least, I don’t need to cycle around for hours just to check which house has the “for rent” tag and call up one by one to check about the price and stuff, because mudah.my has just showed me all the info I want within a minute, how wonderful. 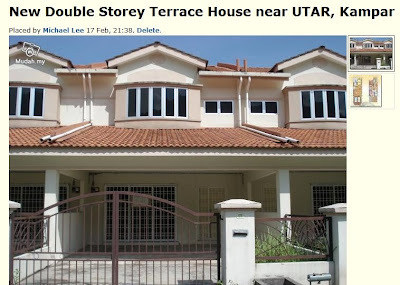 Since the price is reasonable and location is good, I will be going down to Kampar again to see this particular house. & if it’s satisfying, I will rent it, straight away. It saves me lots of time, and also energy. 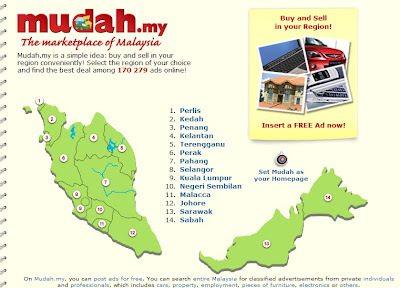 mudah.my makes your life easier, at least, for me. my nose is bleeding now,wait i take a pail fill……..
haha. houses in east lake are well known to be haunted you know? Hey,you look good at your photoshoot! and that seducing picture,you did not fail at all.Is seriously damn seducing.Lol.Pls dont look down at yourself. hey.. saw my flower ar ? destiny – u can try searching eh, tell me if you found one. Huang – walao. you shouldn’t have tell me about this, like seriously. gosh! ANON – =.= don’t want to know. Sora – oh it’s ok. studying at PD block? huaibin – haha. assignment writing service? u sure eh?